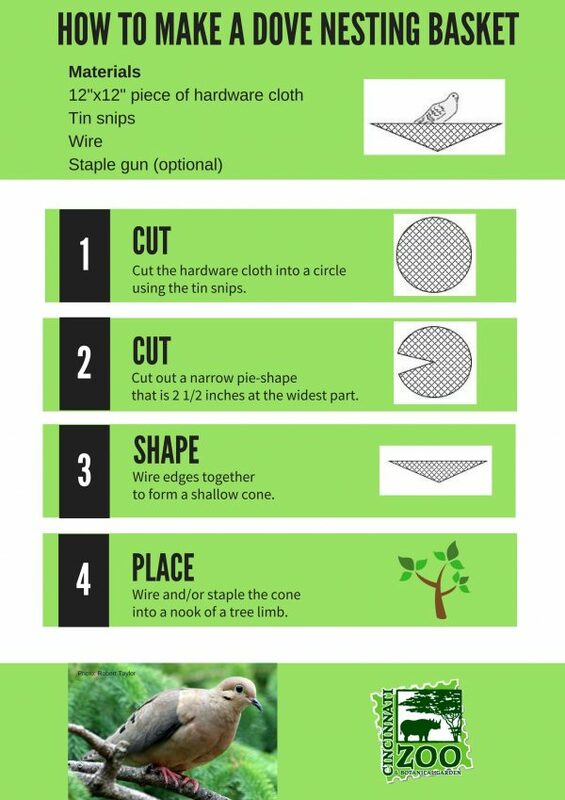 From bird houses to bat boxes, there are many ways you can provide safe nesting and resting places for wildlife in your yard. 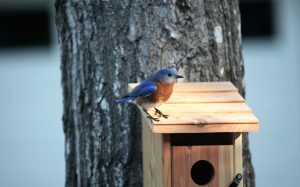 Bird houses, or nest boxes, can provide safe nesting places for local birds, and are especially important in areas lacking natural habitat. A good bird house should be sturdy and built with untreated, unpainted wood and galvanized screws. It should have an overhanging, sloped roof and drainage holes in the floor to keep it dry. Ventilation holes and ¾-inch thick walls will help it maintain a just right temperature. And mounting it on a pole at least five feet off the ground with a predator guard will help keep birds safe. The Cornell Lab of Ornithology provides even more tips on how to make a safe, successful home for birds. And the Ohio Division of Wildlife offers additional nest box plans for a variety of birds. Invite these helpful bug and slug-eaters to your yard! 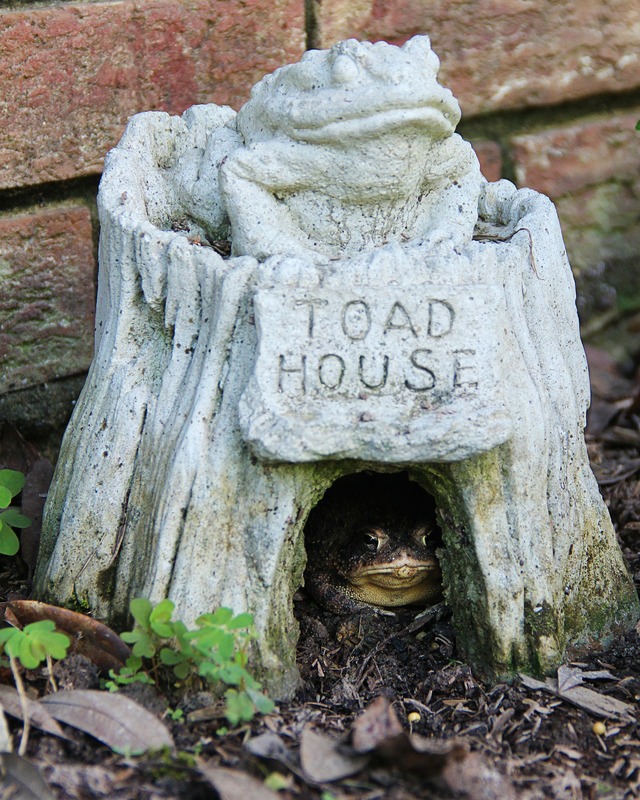 There are plenty of fancy toad houses available to purchase, or it’s just as easy to make your own out of a clay pot. One option is to cut a 3-inch hole in one side at the top of a clay pot. Flip it over and place it in a cool, damp and shady place. Another option is to turn a clay pot on its side and bury it halfway in the ground. 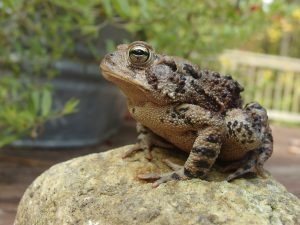 Toads like to bed down in the dirt so make sure your toad abode has an earthy floor. And you might add some leaf litter for extra comfort. Feel free to paint and decorate the pot however you like; the toads won’t mind. Our local bats help keep insect populations in check; a single bat can eat thousands of pesky bugs in just one night! 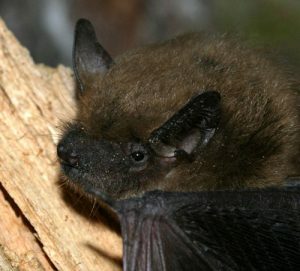 Unfortunately, they are threatened by habitat loss and white-nose syndrome – a deadly disease caused by a fungus that grows over the muzzle of hibernating bats. Putting up a bat box offers a safe place for those that survive the winter to roost and raise young in the summer. Bat Conservation International provides excellent tips for purchasing and/or building effective bat houses. The harmless and non-aggressive mason bee is a very important native pollinator. Instead of building a hive, these solitary bees lay eggs and raise young bees in small tree holes made by birds and other insects. They will also nest in artificial bee houses, which are easy and fun to make. Or you can buy a pre-made bee house; we even sell ones made especially for the Zoo by Osmia Bee in our Gift Shop. Consider adding a mason bee house to your yard to promote these important pollinators!